Skin anatomy. Artwork of a section through human skin, showing some of the main structures. These include a hair follicle, a sweat gland (centre left), and arterial (red) and venous (blue) blood vessels. Various skin layers are shown. 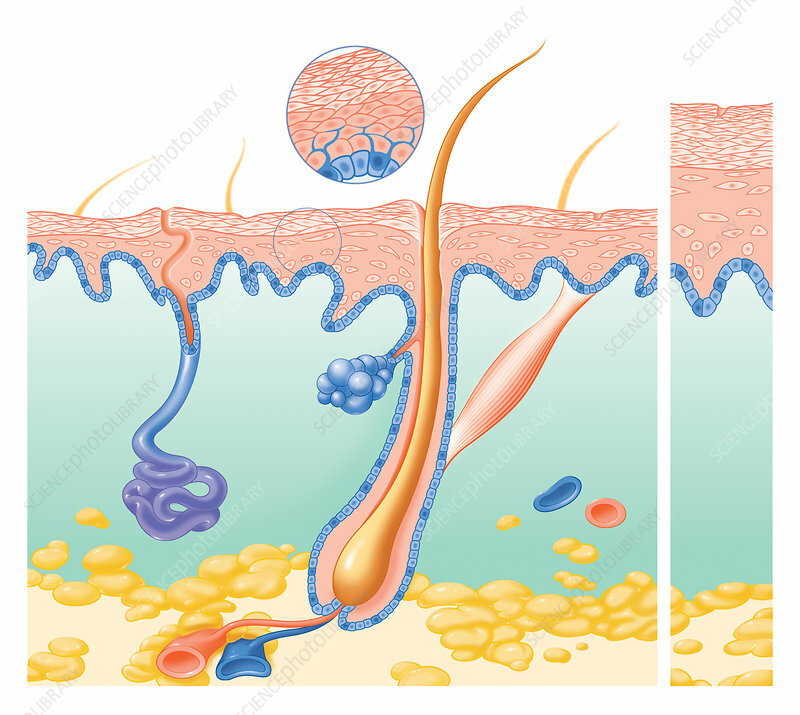 At top is the epidermis with its layer of dead skin cells (stratum corneum), followed by the dermis (middle), and then the hypodermis (bottom) with fat cells (yellow. The inset at right shows adult skin. The skin at left is thinner, like the skin found on a baby.